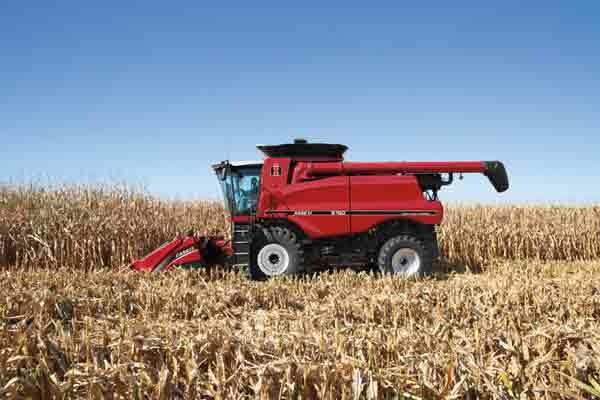 The new 50 series Axial-Flow combine lineup from Case IH features a special-edition 150 series combine with International Harvester heritage styling, colour schemes and decals reminiscent of the first Axial-Flow combine in 1977. To commemorate the rich legacy of Axial-Flow combines, Case IH is excited to launch the 50 series Axial-Flow combine lineup with a special-edition 150 series combine. The 150 series combine features International Harvester heritage styling, color schemes and decals reminiscent of the first Axial-Flow combine in 1977. The memorable white cab top and tire rims give way to the latest harvest advancements to help producers put more grain in the tank. The productivity enhancements of the legendary single rotor technology, Cross-Flow cleaning system and 2-speed electric shift transmission enable the 150 series combine to handle varying harvest conditions and crop types.